The Star 6115RCBF Star-Max® gas charbroiler is only 15 inches wide for preparing product in compact areas. Even though it has a small footprint, it can accommodate different batch sizes since the grates support a large capacity. These grates are adjustable to flat or inclined positions and reversible for searing on the thin side or cooking delicate items on the thick side. An H-style, cast iron burner provides heat, while the stainless steel radiant evenly distributes it. 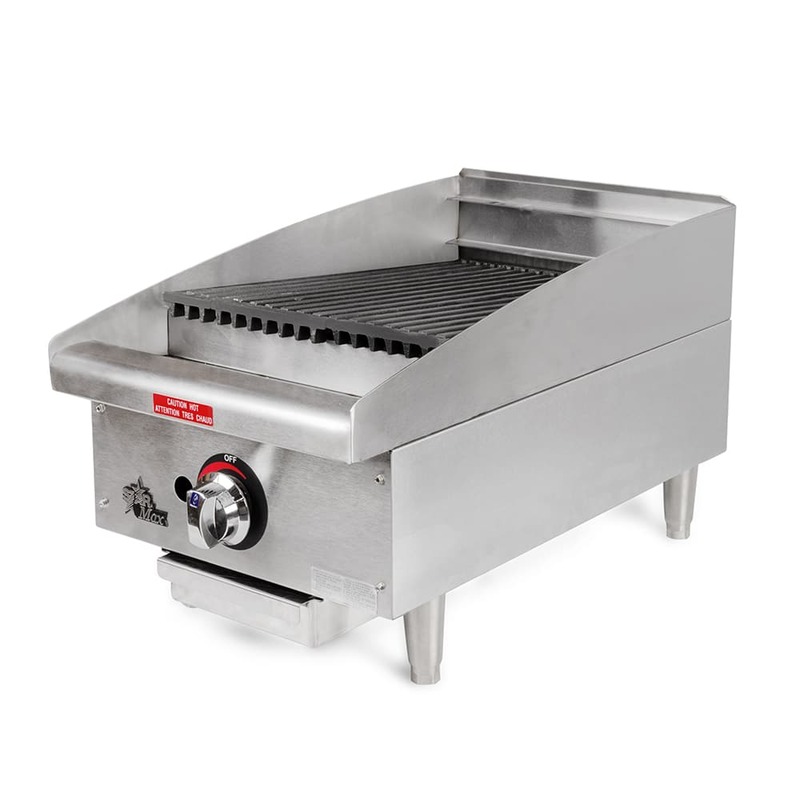 With a stay-cool bull-nose front, the operator is protected from most burns while using this Star 6115RCBF Star-Max gas charbroiler. To accommodate most non-level floors, the unit has adjustable, 4-inch legs. 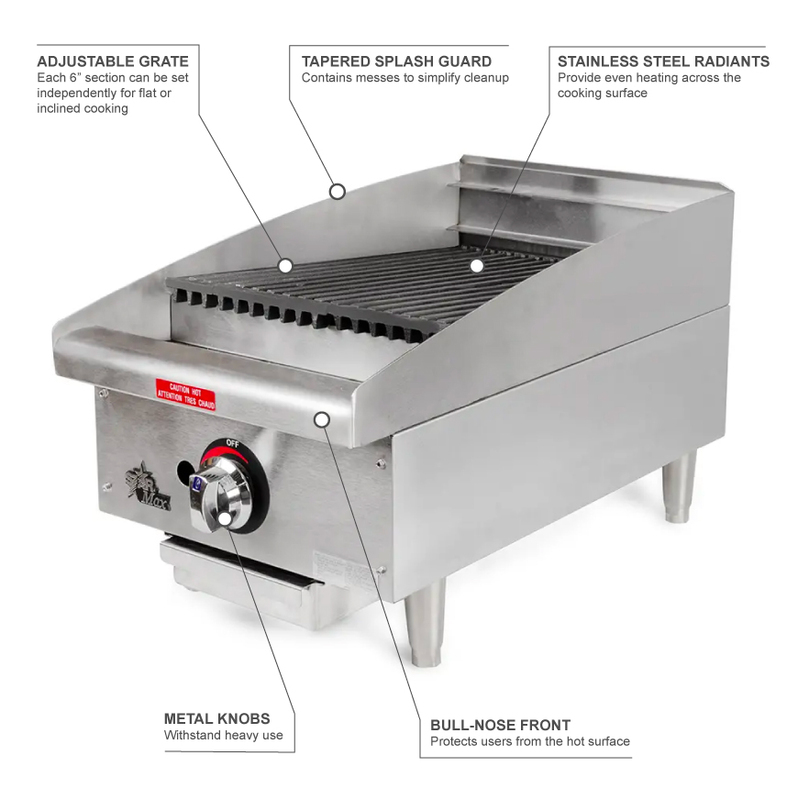 Additional information on charbroilers and their features is available in our charbroilers buyers' guide.